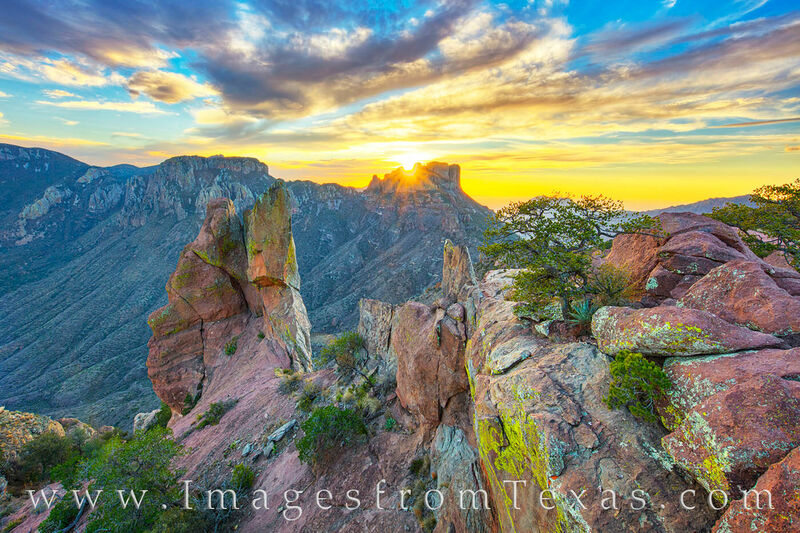 Bathed in a golden light, the Chisos Mountains of Big Bend National Park rest under a beautiful sky at sunset. From this view at the end of the Lost Mine Trail, Juniper Canyon stretches to the south (in the left portion of this image). The hike up to this point is relatively easy and just over 2 miles, and the sunries and sunsets can be spectacular. Photo © copyright by Rob Greebon.